The Center for Brain-Inspired Computing will lead research in future applications of artificial intelligence in autonomous systems. Amazon’s Alexa. Google’s Nest. Facebook feeds. Smartphones. The principles of artificial intelligence are seamlessly woven into our daily lives, but we have only scratched the tip of the iceberg. What if the game-changing technology could be leveraged in a much broader range of applications that could vary from personal assistants to swarms of drones? This is the essential premise that forms the foundation for the Center for Brain-Inspired Computing (C-BRIC), a five-year project supported by $31 million in funding from the Semiconductor Research Corporation’s JUMP program. This program is supported by both industry powerhouses, such as IBM and Intel, as well as U.S. federal funding through DARPA. The multi-faceted research endeavor has roots in Purdue’s School of Electrical and Computer Engineering, and will include over 85 graduate students and researchers at Purdue and nine other colleges such as Princeton University, Georgia Institute of Technology, the Massachusetts Institute of Technology, and the University of Southern California, among others. Kaushik Roy, director of C-BRIC and the Edward G. Tiedemann Jr. Distinguished Professor of Electrical and Computer Engineering, says the time is ripe for exactly such advances. “Our computing performance is way higher than it used to be, and new research on devices and materials might be able to mimic [the brain’s] neuron and synaptic functionalities,” Roy points out. The key is to marry the computing capabilities, the materials and the hardware together strategically and efficiently, to get us to autonomous intelligence. C-BRIC envisions this symphony playing out by working on four disparate, yet connected, themes or foundational bricks. 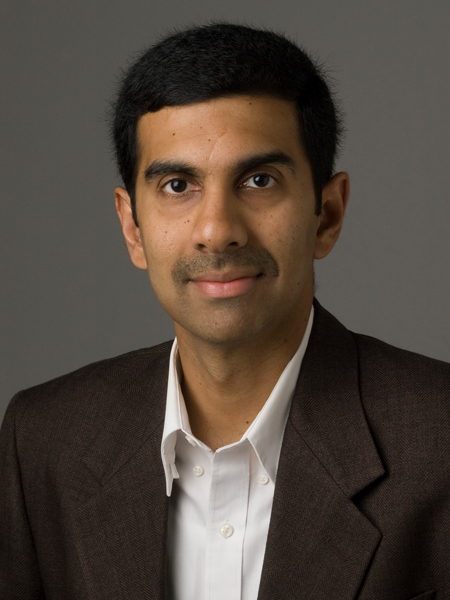 Anand Raghunathan, professor of electrical and computer engineering and associate director of C-BRIC, argues that most of today’s AI technology is being used in perception-centric ways — recognizing a chair as a chair, for example. The true potential, he argues, would be if we could move beyond it to autonomous intelligence where reasoning and decision-making are also involved: It’s not just enough for a self-flying drone to detect a tree, it actually needs to brake or reroute its flight path so it doesn’t crash. While it might be tempting to throw tons of computing power at a problem, that is not the most efficient solution. Here’s where brain-inspired solutions come into play: The human brain can perform simple tasks using only 20 watts, not the hundreds of thousands of watts that turbocharge neural networks. Today’s solutions for artificial intelligence involve using large amounts of data. “The brain doesn’t need to be shown a million drawings of a chair to understand what a chair looks like,” Raghunathan says. 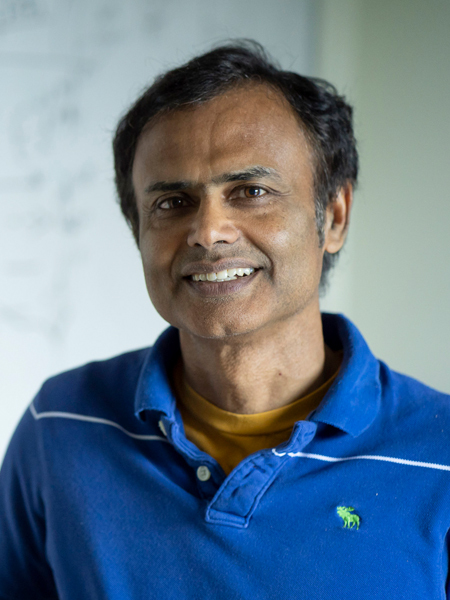 “Even if I were to draw a stick figure of a chair, you would recognize it as such, but that might not be the case for today’s AI system.” So one of the main tasks at C-BRIC is to develop algorithms so AI systems can be more efficient with respect to data. “We are hoping to work on algorithms that learn more efficiently and with less data,” Raghunathan says. Roy says that C-BRIC also hopes to look at new ways of learning for neural networks. Today’s networks do reasonably well on a particular dataset that they learn, he points out. However, if given a new dataset to play with, the system can go into “catastrophic forgetting” and end up forgetting everything. You essentially have to start anew. Research will also focus on how to make algorithms less fragile, Raghunathan says. “There are well-publicized instances of self-driving cars crashing because the object detection system failed to recognize objects. The problem here is not that the car made an error — humans do too — but that these neural networks are impenetrable boxes; it’s difficult to understand why they work and when they work.” A part of C-BRIC’s efforts will be directed at making learning algorithms less fragile by figuring out when and why they break. It goes without saying that efficiencies in how networks learn will have to be coupled with devices that facilitate such learning. Traditional computing systems follow the Von Neumann architecture, where the processing and memory storage units are separate from each other. So during computing, efficiencies are lost in transferring all that data back and forth between the two hubs. Here again, the brain serves as inspiration for the computing systems of the future: “Can we have a network architecture with tightly integrated memory and computing so we don’t have much traffic between the two? Can we make it brain-like?” Roy asks. He envisions a “massively parallel” network where computing is event driven; that is, it is pressed into service in tandem, as and when needed. Efficiencies can also be rendered by assigning precision to computing only when necessary. “Approximate” hardware is more forgiving when exacting accuracy is not really needed (it doesn’t matter much if the forecast is 72.5 degrees or 72, for example). Such stochastic hardware, Raghunathan says, is one of the key ways in which networks can be trained on small amounts of data. “It helps you generalize better from a small number of examples,” he says. If you have artificial intelligence systems working in concert, it makes sense that they can together achieve the intelligence or computing power required. Each one doesn’t need to be fully intelligent on its own. Distributed intelligence systems can yield efficiencies by assigning complex computing to heavier systems, such as the cloud, while handheld devices can handle smaller tasks. Edge computing enables data that are generated by Internet of Things (IoT) devices to be processed closer to where they are generated rather than have them be trucked all the way to the cloud and back. One of the many applications that Roy sees for such computing is in peer-to-peer intelligence as shown in a swarm of drones. “Each drone flying in formation is receiving different input about the terrain and other factors. The question then becomes: how do they share that information and actually make a collective decision? That factors into distributed intelligence,” Roy says. Communication between drones also takes energy, so to be efficient, C-BRIC researchers such as Vijay Kumar and his team at the University of Pennsylvania are working to figure out how the swarm of drones can have a collective intelligence with minimal communication between individual members. These three research angles are expected to come together in the form of two application drivers: personal robot assistants and personalized drones. Why personalized assistants and drones? They’re the gateway to testing all the real-world applicability from the research that will spin out of C-BRIC, Roy says. Both Roy and Raghunathan caution against a blind mimicking of the brain’s functions and physiology in determining the future of artificial intelligence. “If you’re trying to in some ways be more efficient like the brain, there’s a danger of literally copying the brain and that’s not always a good thing,” Raghunathan says. The brain is great at image processing, for example, but not really at computing. Building on today’s artificial intelligence capabilities, autonomous intelligence can truly be the best of both worlds, a world that C-BRIC is looking forward to shaping in impactful ways. C-BRIC researchers are working to figure out how a swarm of drones can have collective intelligence with minimal communication between individual members.